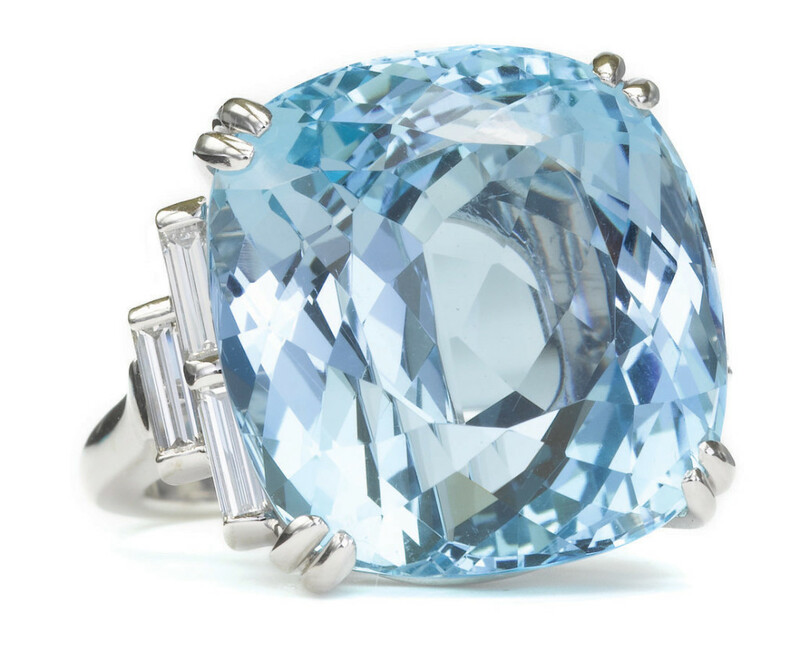 Unusually large cushion-cut aquamarine weighing approx. 22.50 carats with three baguette diamonds on each side. 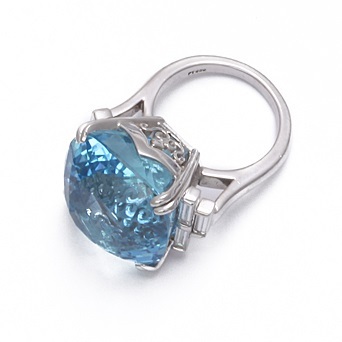 Mounted in a platinum cathedral setting with a scroll motif in the gallery and split prongs.